Here at Coolutils we offer 2 ways to convert DOC files to JPEG images. The free online service and the paid Windows app. Which shall you choose? 1. Free DOC JPEG converter from CoolUtils ($0) allows you to convert DOC to JPEG without having to download or buy any software. This converter is convenient for users who do not have to manage large groups of files regularly. 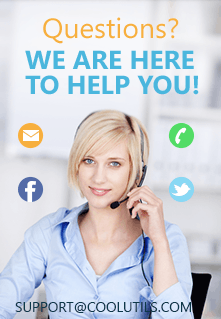 It processes files one by one andyou have to send your documents to the web. 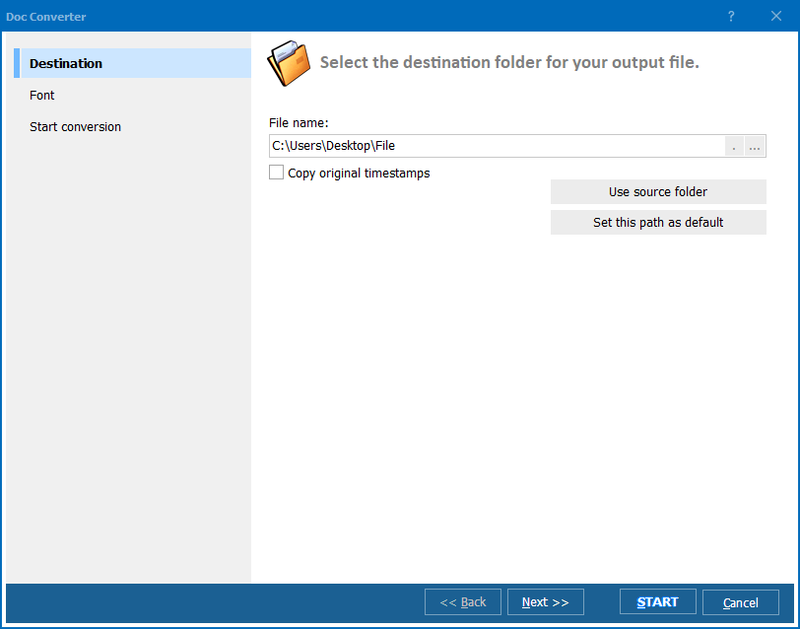 This converter is extremely easy to use for single files. The only must it has is good quality IT connection. 2. 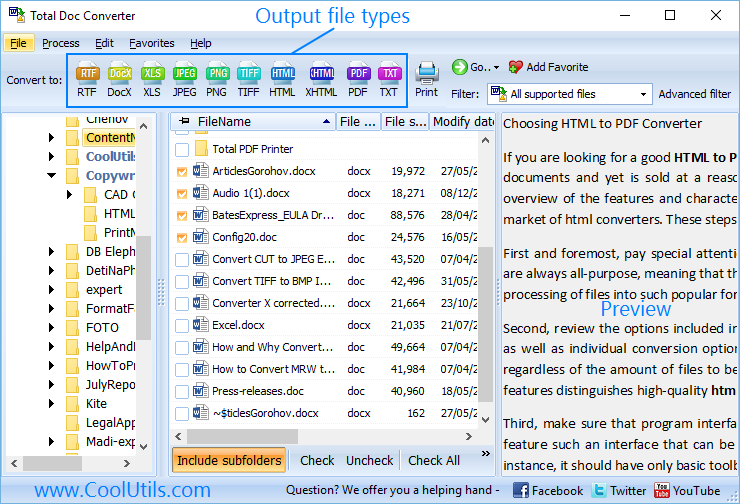 The desktop counterpart, Total Doc Converter ($49.90) offers the batch function. When you have to convert tens and tens of files in folders with subfolders, the batch mode is a life saver. This desktop DOC converter has command line support and mane additional options. For exampel you can add page numbers or text watermarks, select the quality of the resulting JPEG image. When would you want to pay? When you prefer a more powerful engine with additional settings. 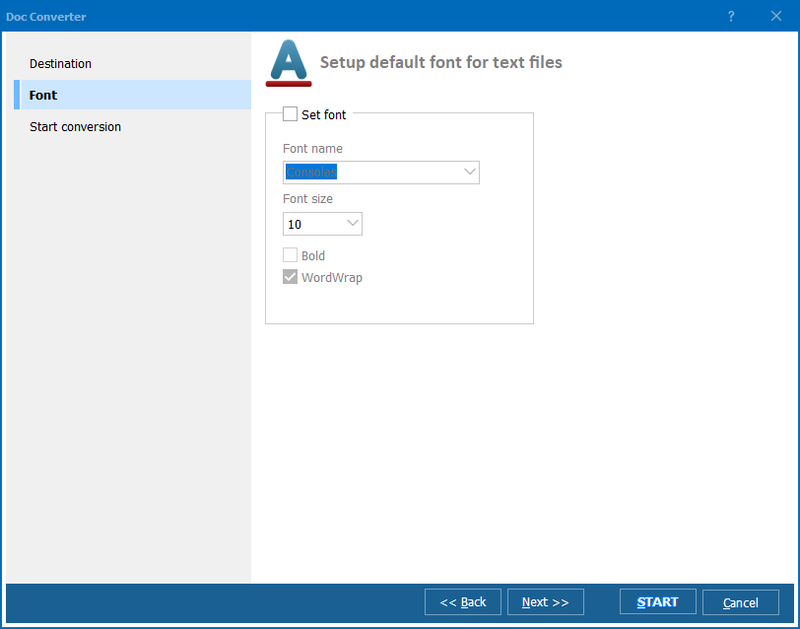 Although this free doc converter is really good at what it is intended for, it is not unlikely that you are going to have to switch to batch conversion and, consequently, obtain the desktop version. This is a shareware tool with a handy interface and vast functionality. It can handle larger files and in much larger numbers. If you try to convert a DOC file bigger than 10 Mb, you will be redirected to the download link. Now you can download the free desktop version and keep trying it for 30 days.